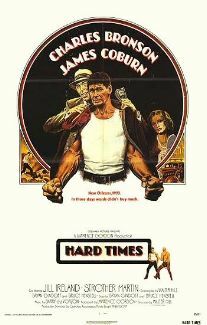 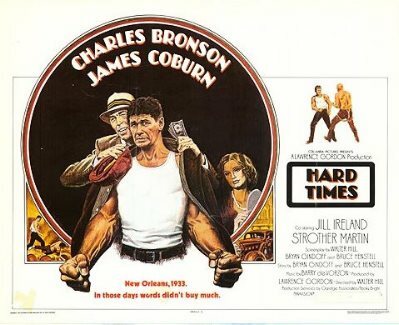 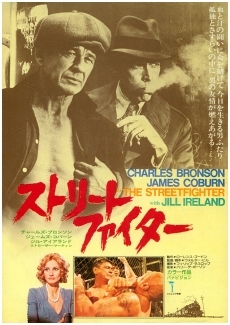 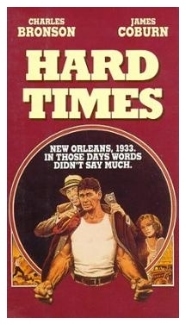 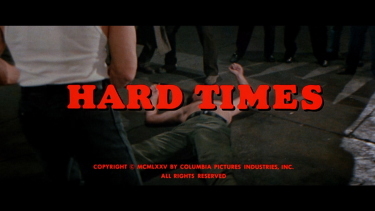 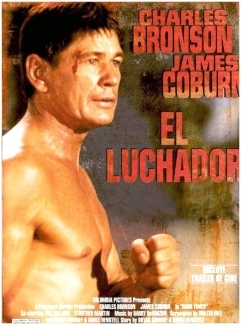 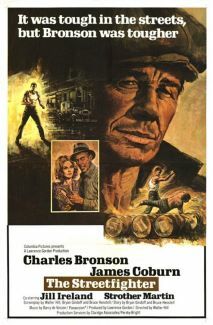 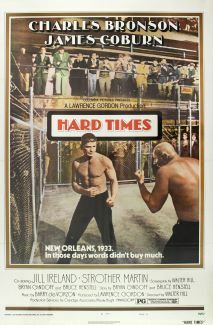 Writer-director Walter Hill's debut film, Hard Times (1975), stars the legendary Charles Bronson as a laconic street fighter who joins forces in Depression-era New Orleans with a fast-talking promoter (James Coburn) and a drug-addicted cut man (Strother Martin) to make some hard-earned cash in the illegal fight game. 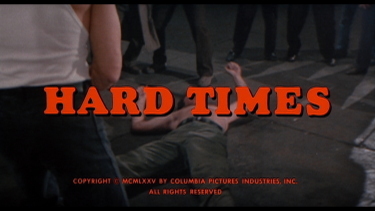 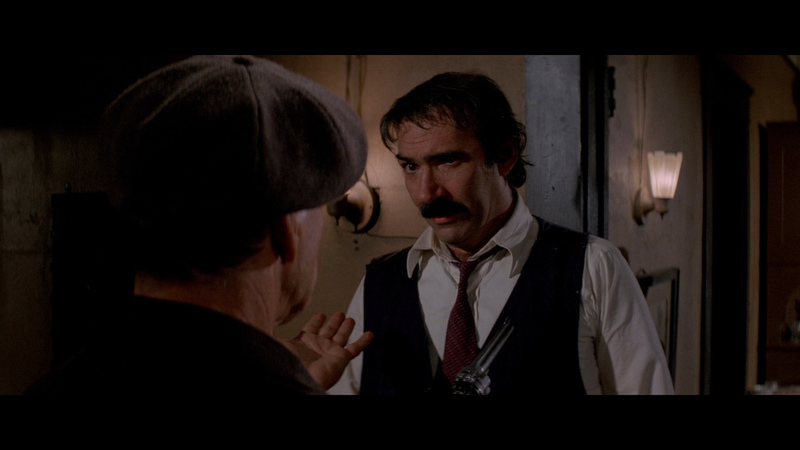 With its clean narrative, detailed period setting, superb cinematography by Philip Lathrop, and striking action sequences (elegantly edited by future director Roger Spottiswoode), Hard Times is an exhilarating jump-start for one of the 1970s' most influential filmmakers. 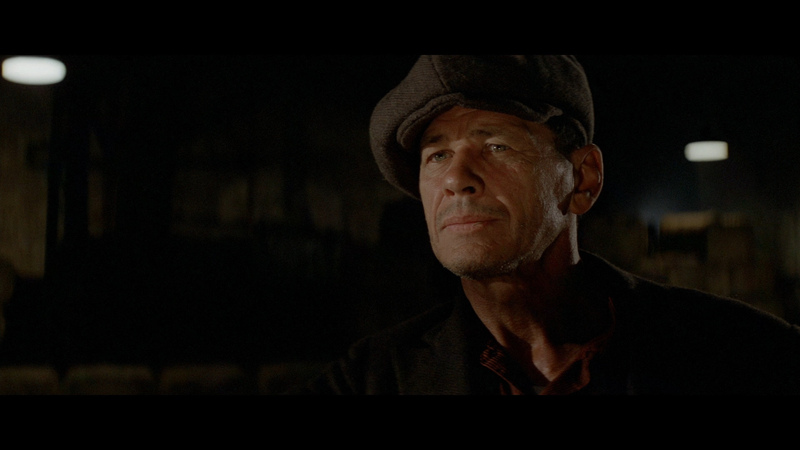 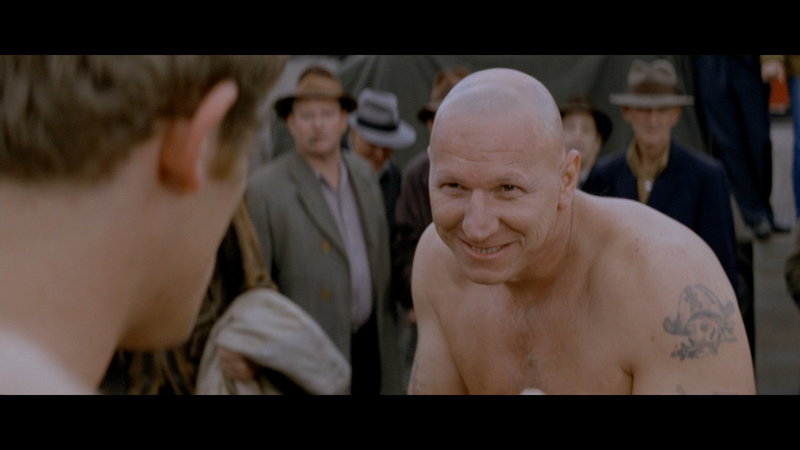 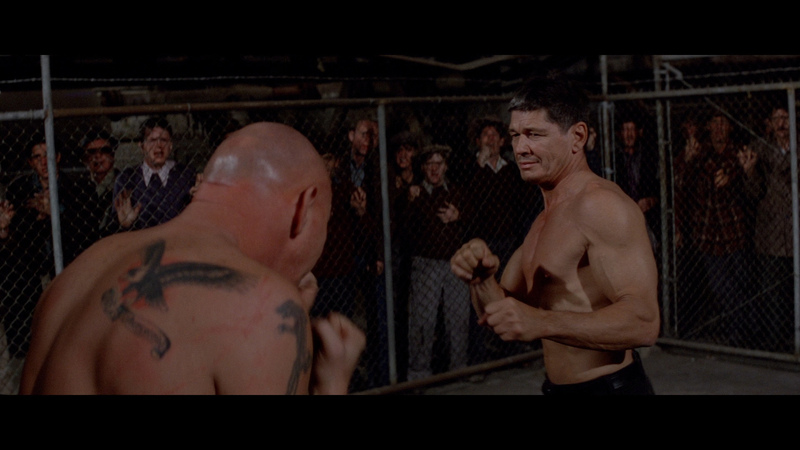 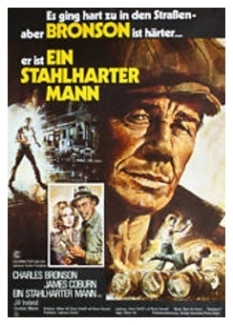 In the middle of the Great Depression, Chaney (Charles Bronson, Death Wish) is just looking to catch a break. 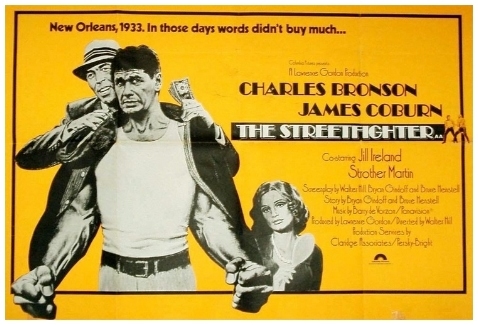 When he meets Speed (James Coburn, The Magnificent Seven), a promoter of bare-knuckle street fighting, Chaney thinks with his fighting skill and Speed’s savvy, he might have a chance. 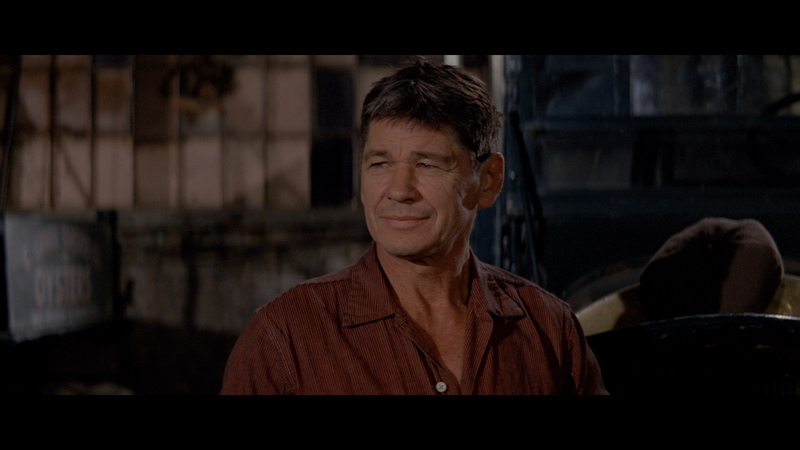 But Speed has his own problems, and what seemed like a sure thing is not as simple. 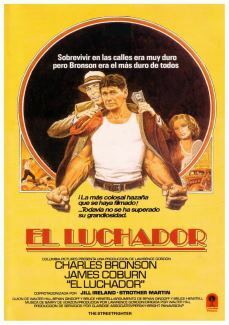 Directed by Walter Hill (48 Hrs. 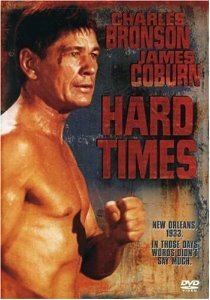 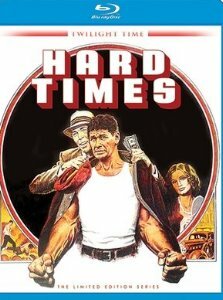 ), and also starring Jill Ireland (The Mechanic, 1972) and Strother Martin (Cool Hand Luke), HARD TIMES is a gritty, compelling drama. 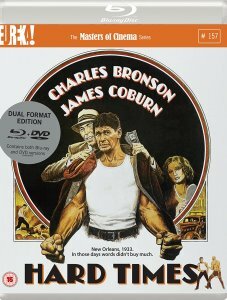 ADDITION: Masters of Cinema - Region FREE - Blu-ray April 17': This is cited as a "New 4K digital restoration" - so it looks exactly the same as the Twilight Time. 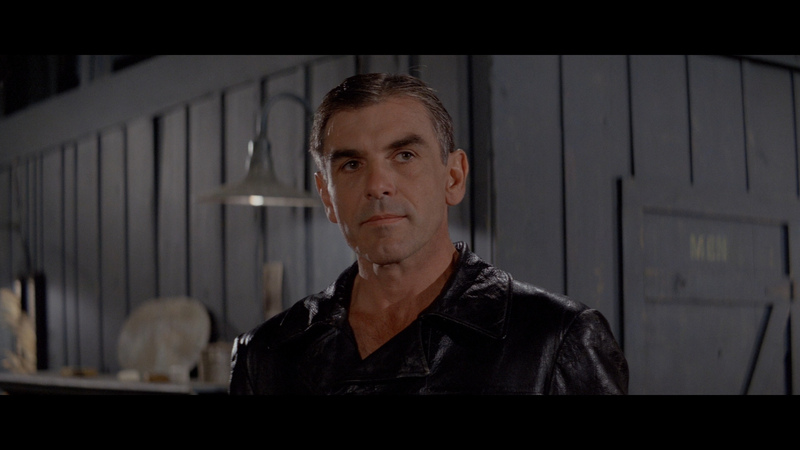 I can see no differences. 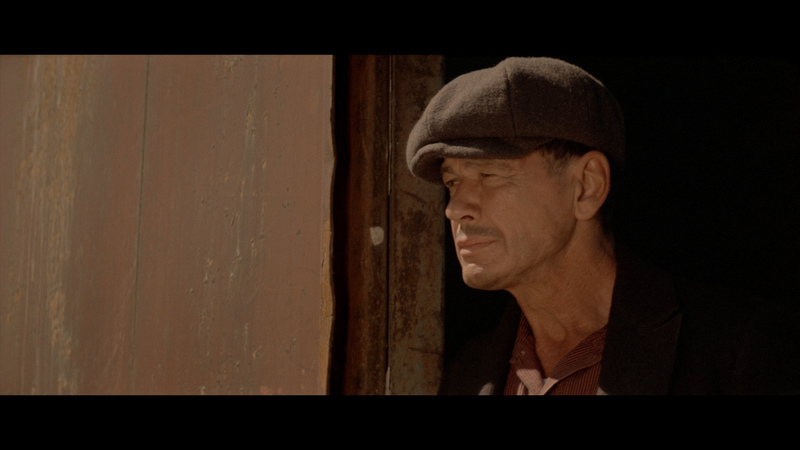 We've matched 4 captures below - you can toggle between and see for yourself. 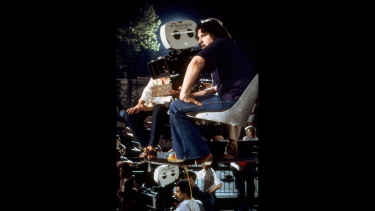 In the audio department, Masters of Cinema diligently add an option for the original mono - in a linear PCM track - as well as a 5.1 surround option (both 24-bit.) 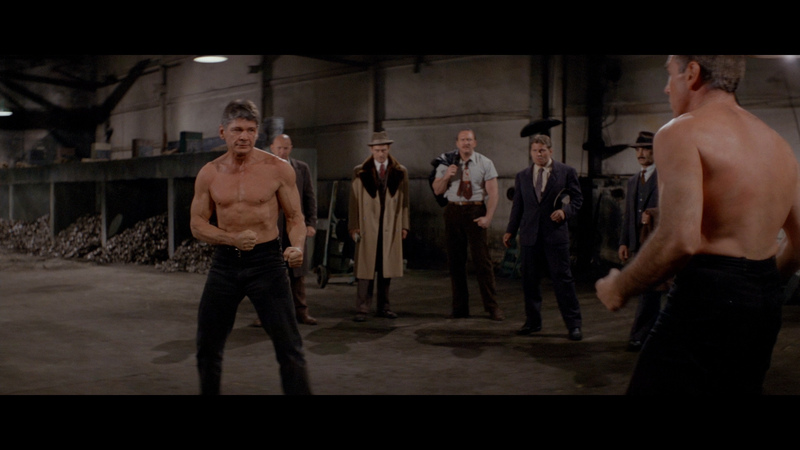 Purists will appreciate that over the Twilight Time Blu-ray. 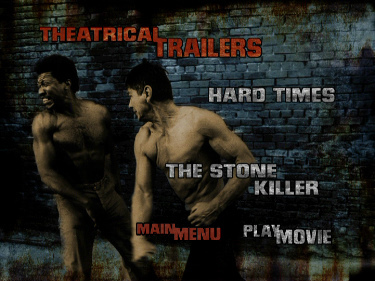 Both have optional subtitles (see samples). 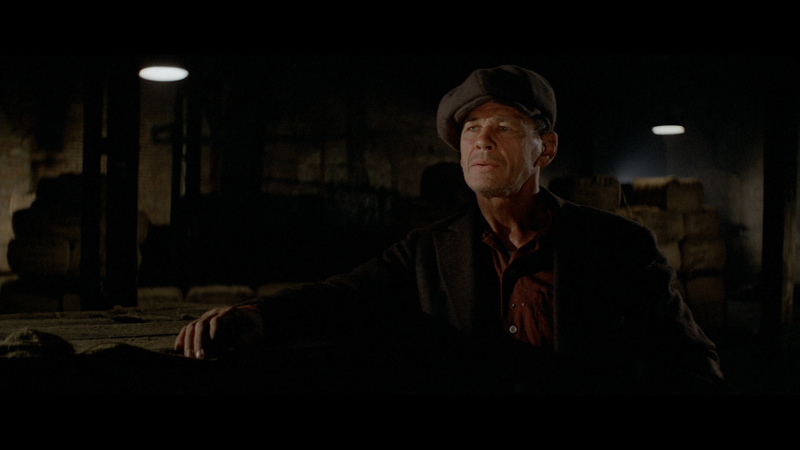 The MoC Blu-ray is Region FREE also! 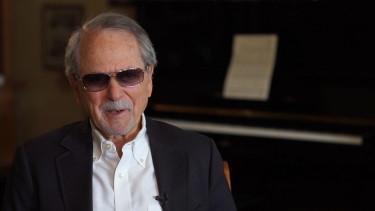 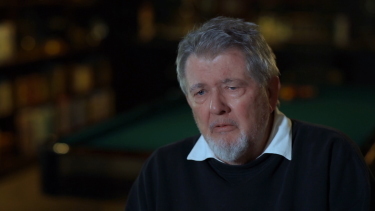 Masters of Cinema have put some real effort into their release with a new, 20-minute, interview with co-writer/director Walter Hill and he is always great to listen to. 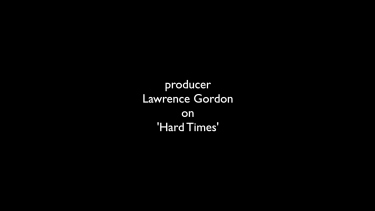 We also get new interviews with producer Lawrence Gordon - running a 1/4 of an hour and with composer Barry DeVorzon for shy of 10-minutes. 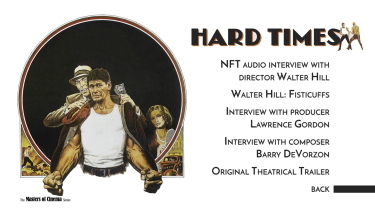 I appreciate the inclusion of, audio-only, 1/2 hour excerpts from a 1984 interview with Walter Hill at the National Film Theatre. Wonderful. There is also an original theatrical trailer and the package contains a 20-page booklet featuring Pauline Kael’s original 1975 New Yorker review of the film, and archival imagery. 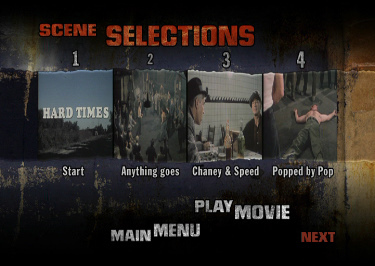 Being dual-format a second disc DVD is included. 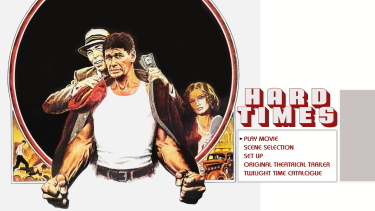 ADDITION: Twilight Time (4K restoration) - Region FREE - Blu-ray March 15': We're a bit late-off-the-mark in reviewing this Twilight Time 1080P but my, over-watched, DVD resurfaced so we could do a full comparison. 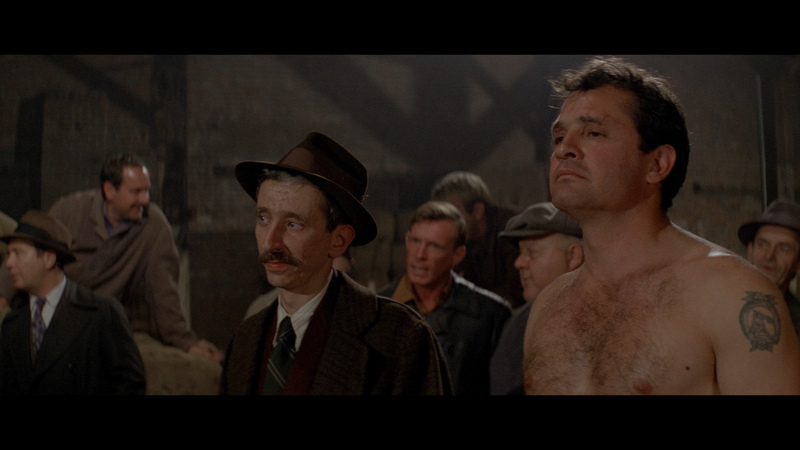 The Blu-ray improves notably offering more natural colors (especially flesh-tones.) 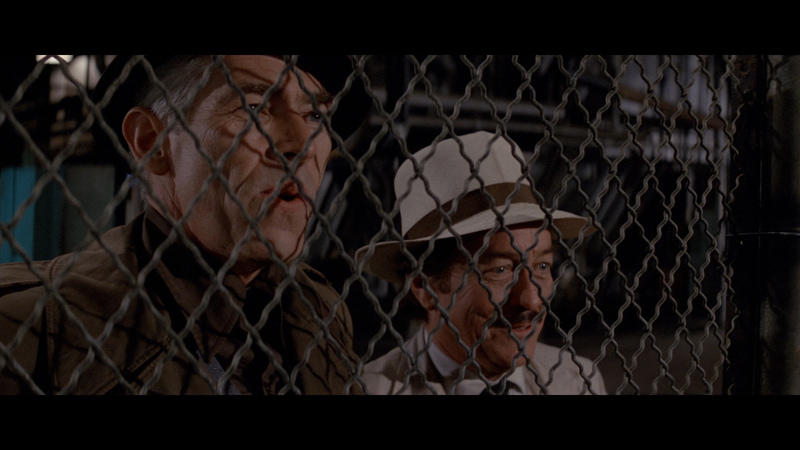 and with the higher resolution the detail is far crisper. 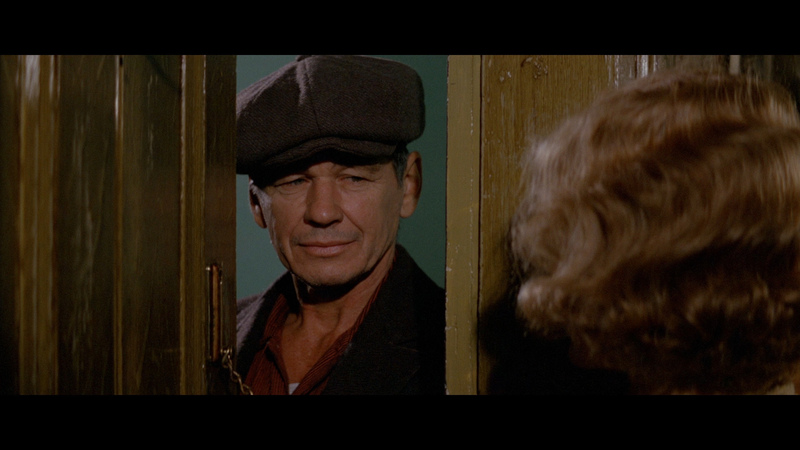 My only concern was a kind of waxy softness that I noticed a few times. 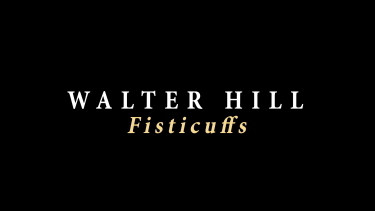 In-motion, however, this was never prevalent and my digitization suspicions remained with little evidence to support any fears. 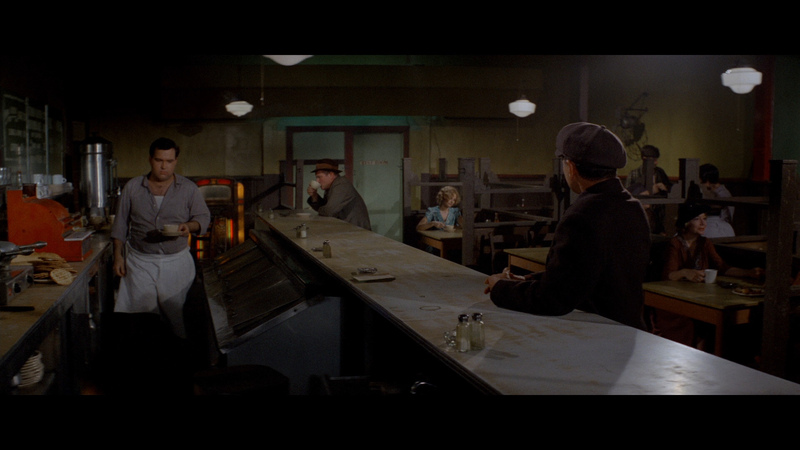 It also appears that the DVD is somewhat vertically stretched or the BD is horizontally stretched. 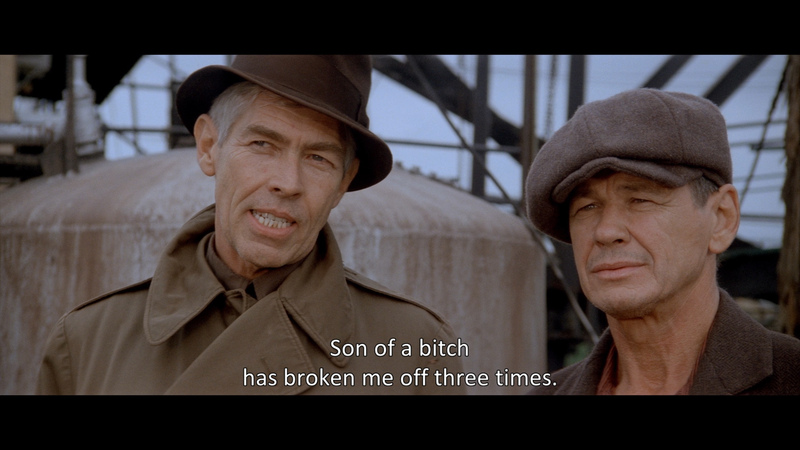 It may be a little of both. 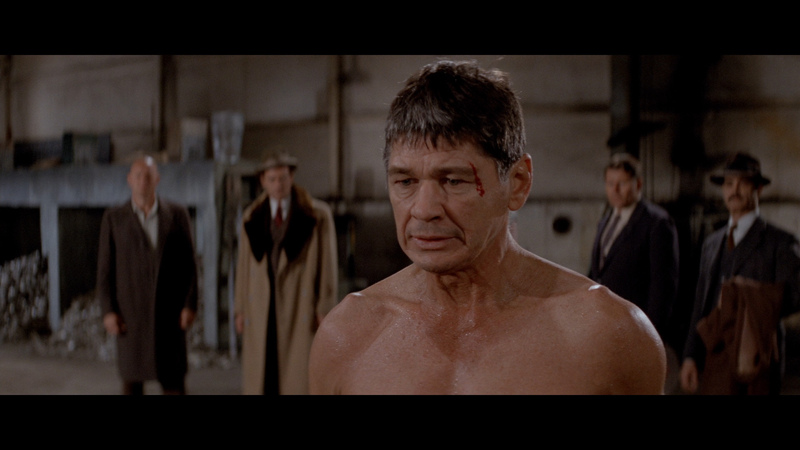 The HD shows a bit more information in the frame. 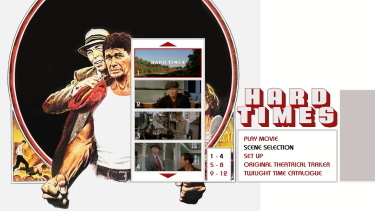 Twilight Time use a DTS-HD Master 5.1 surround track at 2922 kbps. 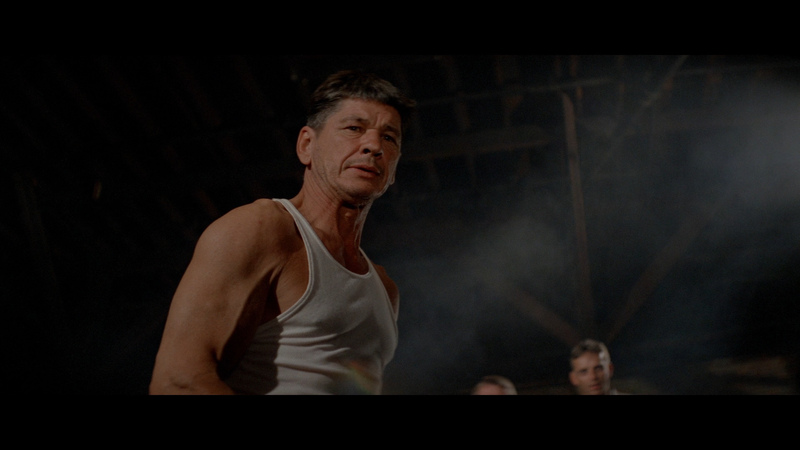 Some of the film's fight-sequence effects gain depth with potent punches and there is minor separation apparent in spectator noise. 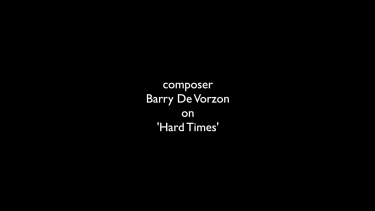 The score is by Barry De Vorzon (Rolling Thunder, The Warriors) and subtly adds to the depression-era atmosphere sounding reasonably adept. 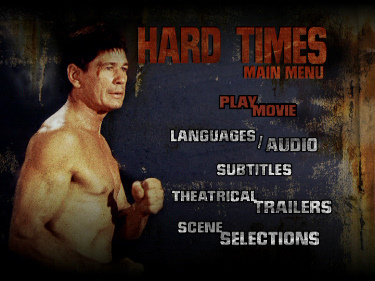 There are optional English (SDH) subtitles and the Blu-ray disc is region FREE. 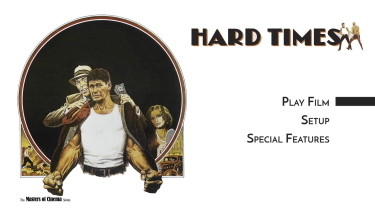 Twilight Time include there usual Isolated Music & Effects Track (in lossless), an original Theatrical Trailer and the package contains an 8-page liner notes booklet with photos and an essay by Julie Kirgo. 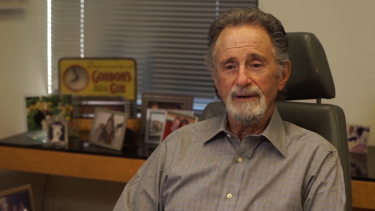 It is limited to 3,000 units.